Considered the birthplace of safari, Kenya is one of those African destinations that can easily conjure up a sense of romantic escapism. 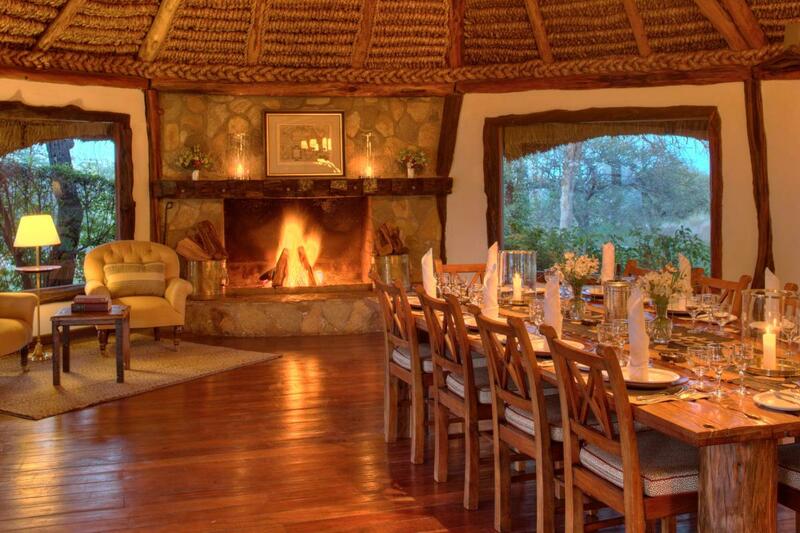 You’ll certainly find your Out of Africa moment at one of Kenya’s luxury safari lodges or camps. With the Masai Mara providing a stage for the Great Wildebeest Migration, Amboseli’s mesmerising views of Mount Kilimanjaro, Samburu’s beautiful leopards, and Laikipia and Lewa’s unsurpassed wildlife conservation areas, Kenya is one of Africa’s best safari destinations. Go2African Rikke at Tortilis Camp. A sprawling luxury lodge with large tents set far apart, a sizable swimming pool and some of the best views of glacier-topped Kilimanjaro, Tortilis is nestled amid the cooling shade of thriving acacia tortilis trees, after which the lodge is named. With a private entrance on the border with Amboseli, Tortilis gives you the best of both worlds: access to the national park and a private space all to yourself. 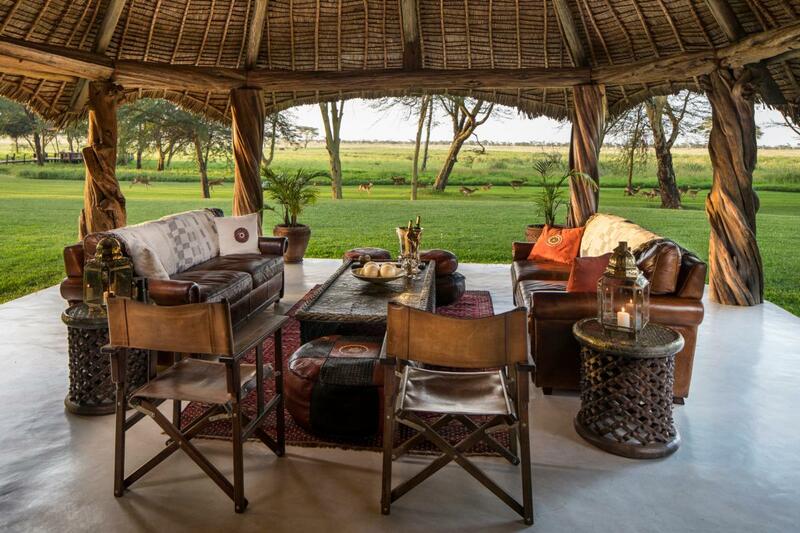 This hidden gem enjoys a tranquil setting in the Selenkay Conservation Area on Amboseli’s doorstep. Porini Amboseli’s location in a private concession means that you can sip on sundowner drinks in magical bush settings and go on night game drives – activities that are not permitted in the national park. Laikipia lies on the rim of Africa’s heavenly Great Rift Valley and is a sanctuary for endangered animals like the patas monkey, African wild dog, and about 40 percent of the world's remaining Grevy's zebra. 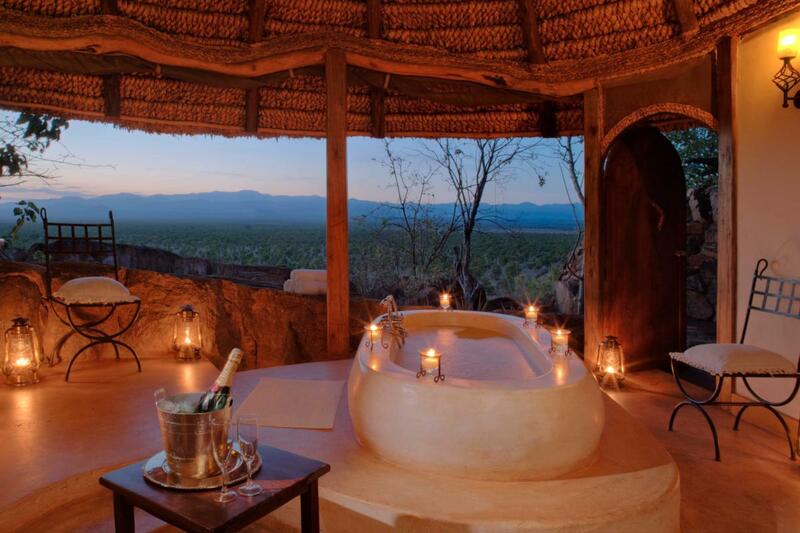 It’s also one of our Safari Experts’ favourite secret safari spots, as featured in our New Safari Bucket List. Segera Retreat offers its guests superb privacy, luxury, and fantastic indoor and outdoor settings for unforgettable dining experiences. Game drives on the Laikipia Plateau will reveal the area’s good densities of lion, leopard, cheetah, spotted hyaena, elephant and buffalo. 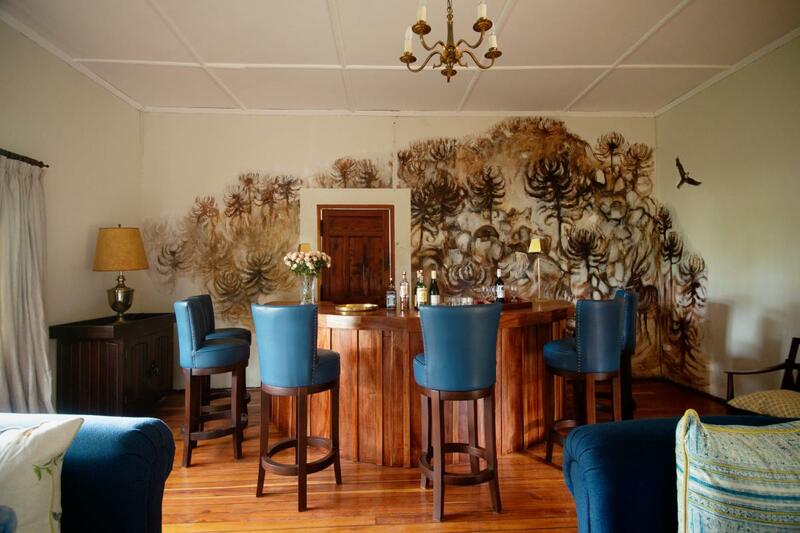 Where to escape the heat of the day at Loisaba. 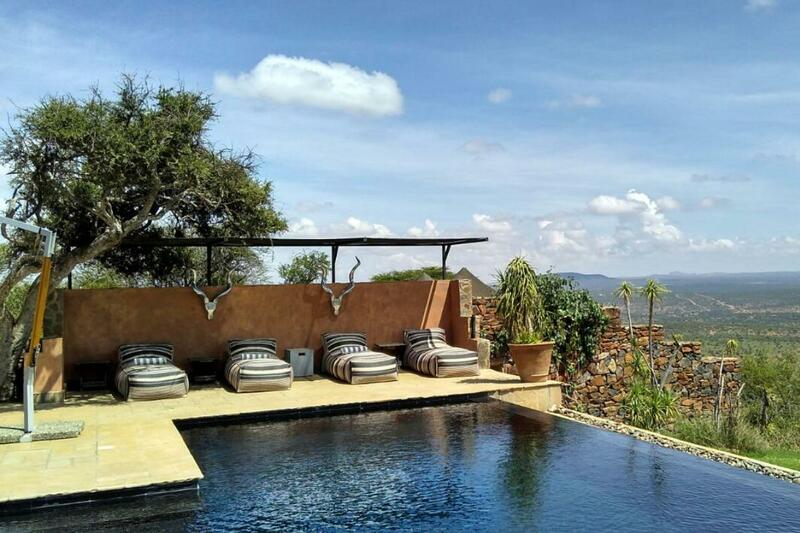 This is probably the pool with the most perfect panorama in all of Kenya: Loisaba’s infinity-edge swimming pool looks out over the Laikipia plains below and allows you a cooling spot from which to track families of elephants down below. Filled with all modern conveniences, including high-tech shower and lighting systems, Loisaba matches its phenomenal views with superb service and delicious cuisine. Enjoy drinks in the Loldia bar. Harkening back to a slower, more gracious time, Loldia House evokes with croquet games on the lawn and nights chatting around a roaring fire. Lying on one of Kenya’s oldest farms, Loldia is within easy striking distance to everything from dormant volcanoes, beautiful lakes and Hell’s Gate National Park (on which scenes from the original Lion King movie are based) to fishing and birdwatching. Built in the 1920s on the slopes of an extinct volcano, Deloraine House has a fascinating history and a fantastic reputation as a leading equestrian centre. With stables housing over 60 horses, riders of all experience levels can enjoy rides in the mountains, cross country jumping and even a game of polo. For the non-equestrian inclined, Deloriane offers a tennis court, croquet lawn and gorgeous gardens in which to relax. You can also go on day trips into Lake Nakuru National Park to see animals like lion, leopard, white rhino, buffalo, and of course, the lake’s famous pink flamingos. Eclectic décor and breezy spaces at Sirikoi. Sirikoi is situated in the Lewa Wildlife Conservancy, a magical sanctuary for highly endangered animals like eastern black rhino and the gorgeous Grevy’s zebra. It’s also one of the two secret safari spots favoured by our own Safari Experts, and featured in our New Safari Bucket List. 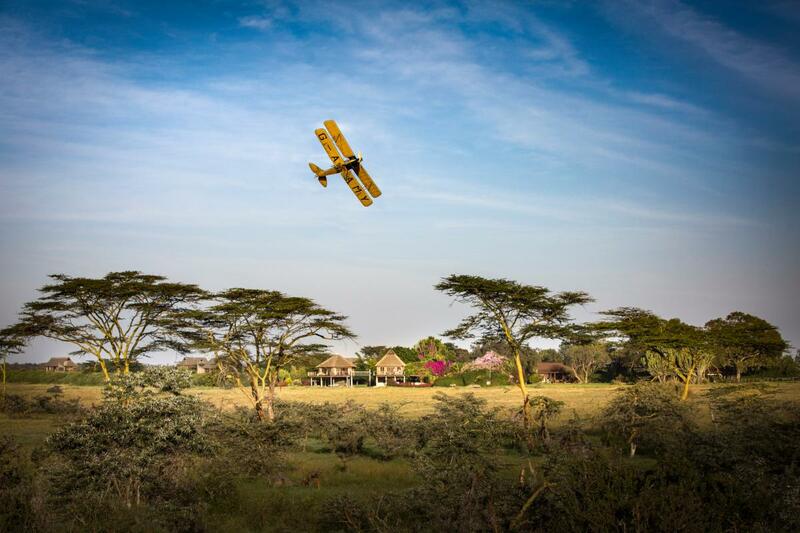 This intimate lodge prides itself on attention to detail, exceptional service and an extensive array of activities like flips over Lewa’s remote mountains, salt pans and lakes in a helicopter or classic WACO biplane. Sirikoi has an extensive garden kitchen that provides its chefs with fresh organic produce used to prepare mouth-watering meals. With an endless panorama of the surrounding wilderness, Kifaru House is a magical safari lodge renowned for its fabulous service and attentive staff. This oasis-like lodge is situated in Lewa Wildlife Conservancy, home to East Africa’s healthiest populations of black and white rhinos. Enjoy game drives in search of the Big 5, cheetah, and endangered Grevy’s zebra against the gorgeous backdrop of snow-capped Mount Kenya. 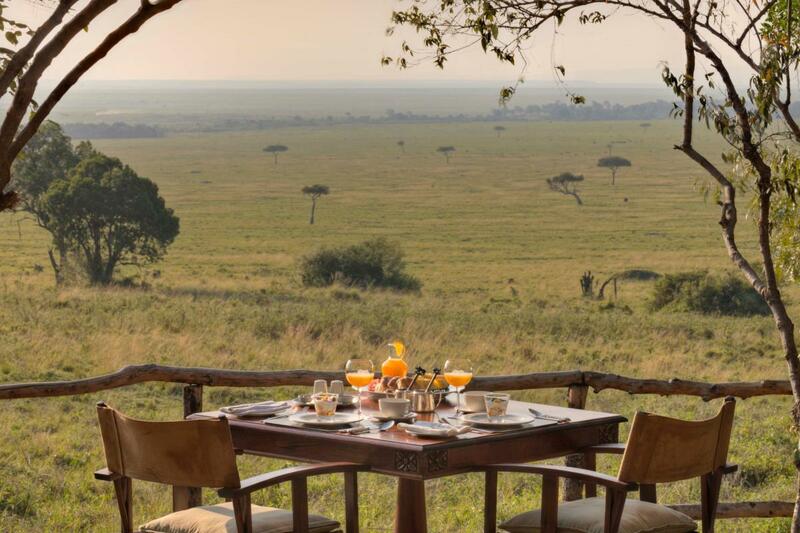 Savour breakfast overlooking the Masai Mara. Bateleur is a classic and elegant safari camp set in a private concession on the edge of the Masai Mara National Reserve. Blending vintage safari elegance with an intimate ambience, Bateleur Camp will mesmerise you with its intriguing antiques and tasteful décor. Nature lovers and wildlife enthusiasts will revel in game drives, guided bush walks and hot-air balloon safaris in Bateleur’s breath-taking Masai Mara location. Starting the day on the Olonana boma deck. Situated in the heart of the Masai Mara National Reserve, Olonana is a luxury safari camp that practically guarantees front-row seats to the Great Wildebeest Migration. This camp offers ultra-comfortable spaces from which to view the Mara’s splendour, all cocooned in contemporary design. Meru National Park is one of Kenya’s best-known parks, and one of the two areas in which conservationists George and Joy Adamson raised Elsa the Lioness from Born Free fame. Named after the beloved lioness, Elsa’s Kopje is an unashamedly romantic safari lodge settled on a rocky hill in the heart of Meru. The views are breath-taking, the service exceptional, and the quality of guiding is superb. Not only will you enjoy great sightings of lion, elephant, leopard and cheetah, but Meru also offers a thriving rhino sanctuary. Game spotting from Ololo’s famous swing-bridge. 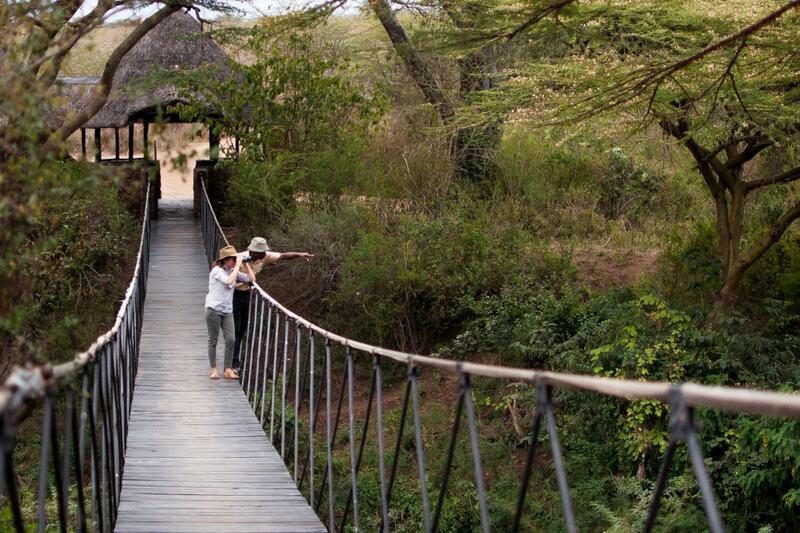 An Indiana Jones-style swing-bridge takes you from the entrance of Ololo to the old farmhouse that now hosts guests at this unique lodge. Set on the border of Nairobi National Park, you’d never say you’re less than an hour’s drive from Jomo Kenyatta International Airport. This is the perfect place to ease into your safari after a long-haul flight – you can ‘get your eye in’ by relaxing on the terrace with a pair of binoculars to spy birds, gentle plains game and even far-off predators in the park’s ground. 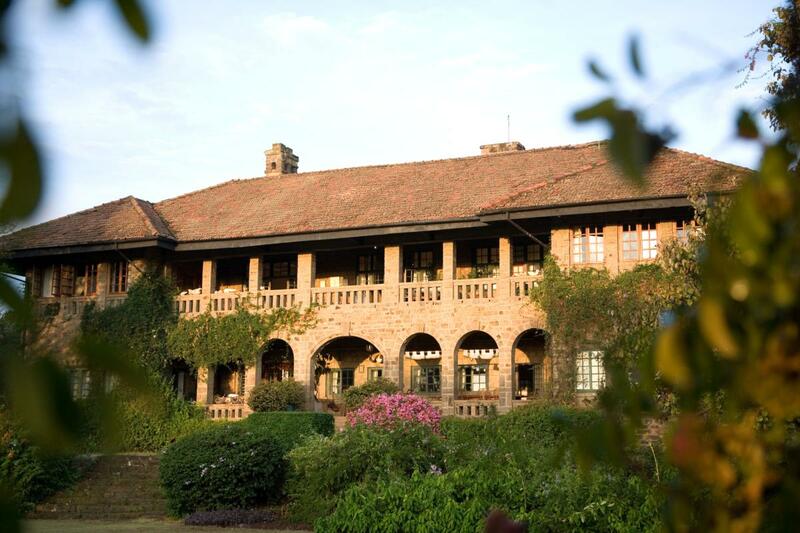 Even your rooms have beautiful views of the lush gardens, known as ‘shambas’ in Swahili. 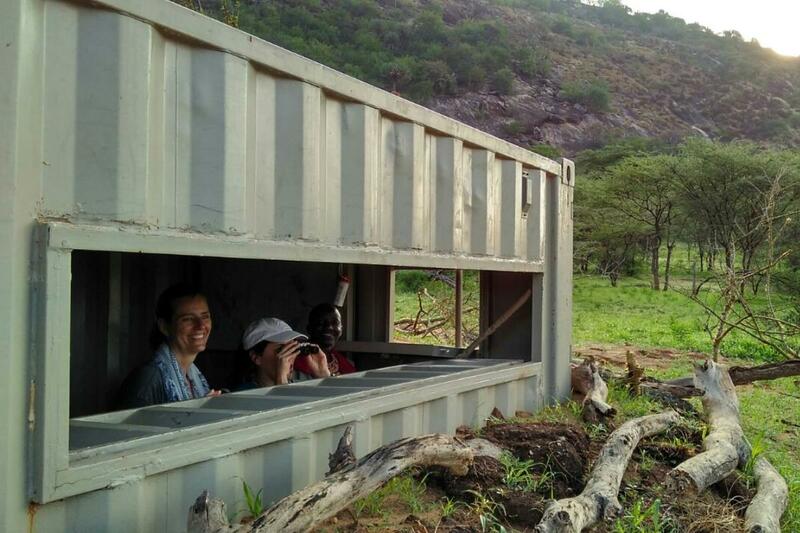 Go2Africans Rikke and Liesel game watch in Saruni’s hide. 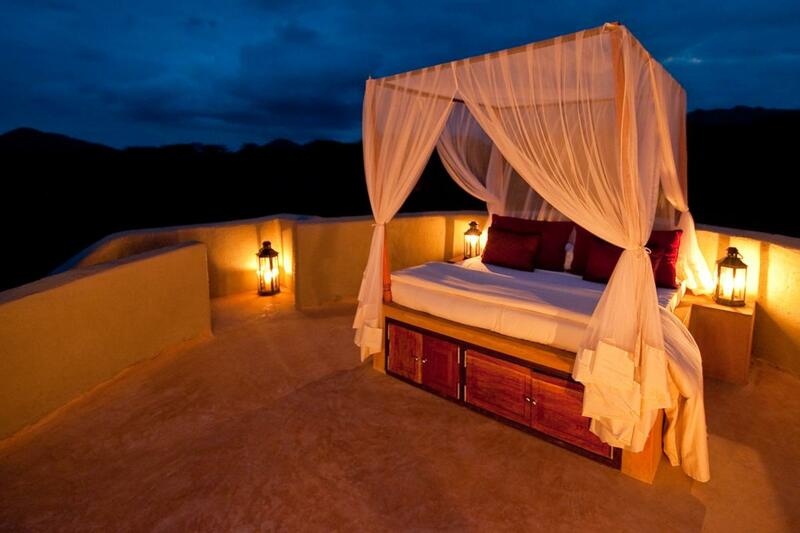 Admired for its innovative architecture, design and décor, Saruni Samburu boasts spectacular views over Kenya’s Northern Frontier District. Go on morning and evening game drives to look for the Samburu ‘Special 5’: Grevy’s zebra, reticulated giraffe, Beisa oryx, Somali ostrich and gerenuk (also known as the giraffe gazelle). 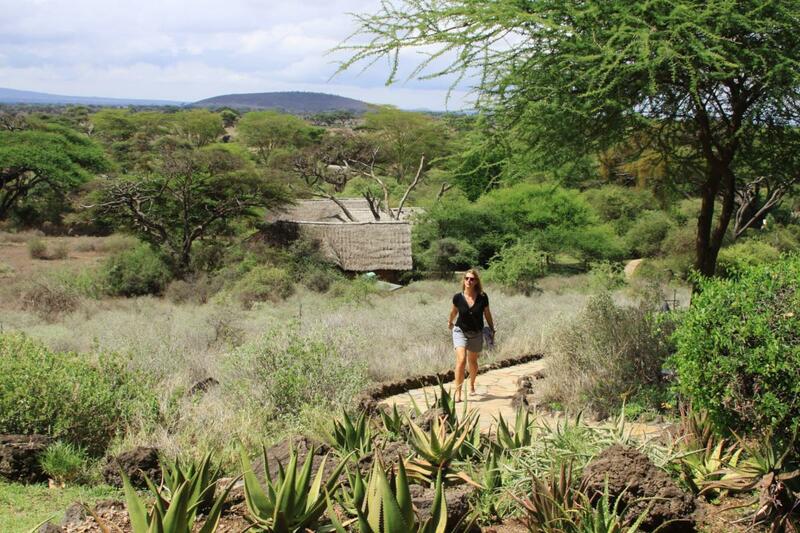 Take a walk with Samburu warriors to explore the Kalama mountains and ancient rock art, before returning to camp to relax and revive at the fantastic Maasai Wellbeing Space. 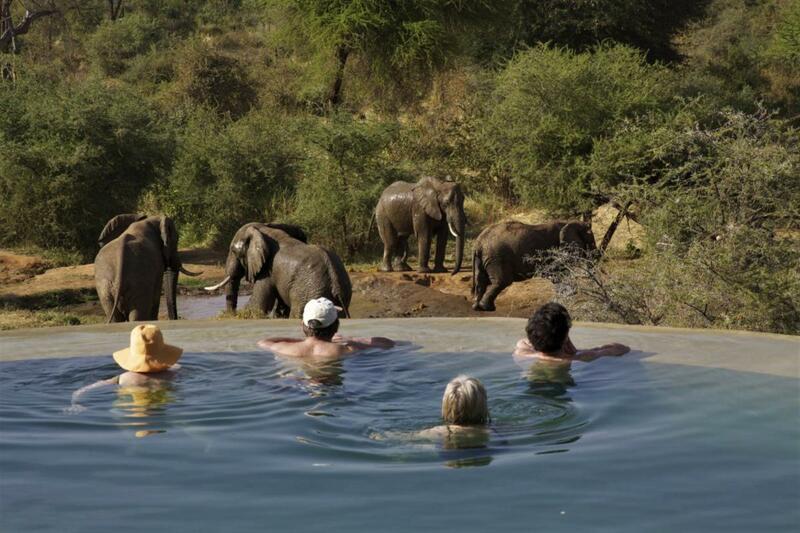 Watching ellies from the pool at Sarara! Perched on the edge of the Samburu wilderness, an ancient land where no other safari camp or tourist can be seen for 850 000 acres. Each of Sarara’s tents feature alluring views of the Mathews Range and the camp’s waterhole – famous for attracting elephant. Here you can witness the fabled Samburu ‘singing wells’, a fascinating ritual that has remained unchanged for centuries and forbidden to be photographed. 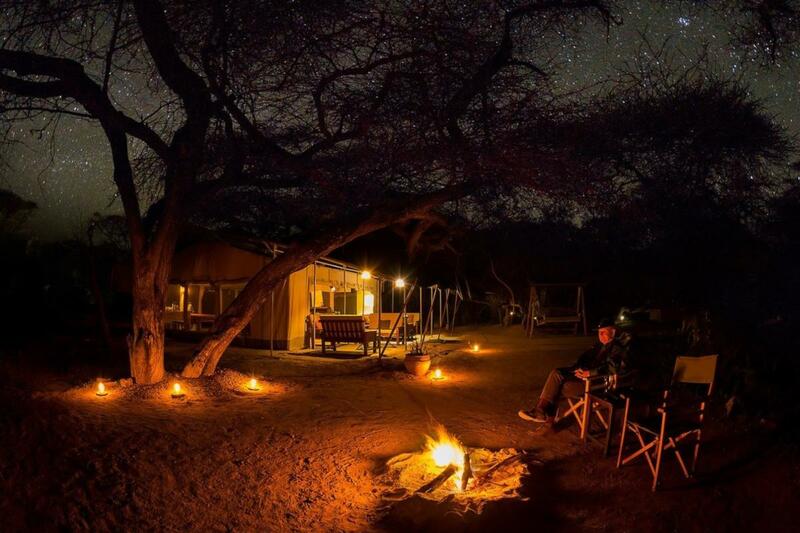 Sleeping under the stars at Ol Donyo. Set on the private Mbirikani Group Ranch, located between Tsavo East and Amboseli National Parks, Ol Donyo sits perfectly in the foothills that border the Chyulu Hills National Park. 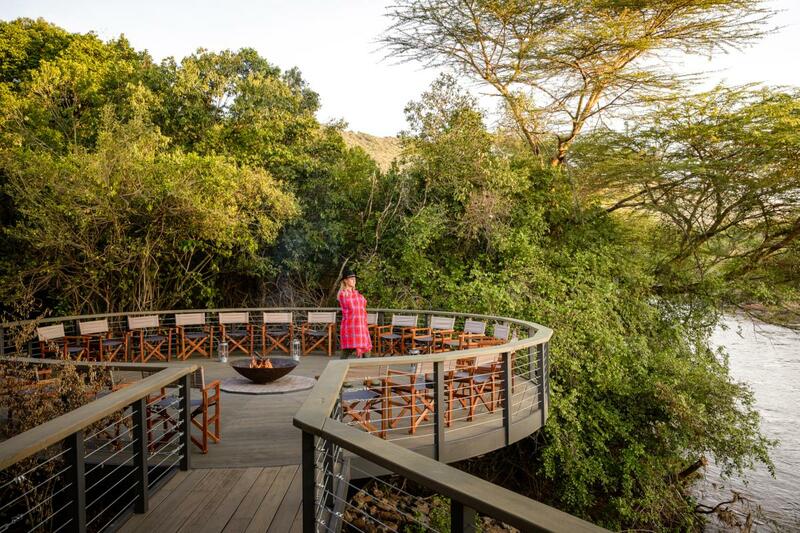 Explore this beautiful slice of Africa – owned by a community of about 4 000 Maasai – on twice-daily game drives, guided walks, horse riding and mountain biking excursions. Several conservation and community out-reach programmes are also available.